Happy Thursday! For today’s Spectacular Summer Blog Hop, Victoria from Dazzle While Frazzled has some awesome, FREE summery printables for you. They are all about the beach, and – get this! – they are TRILINGUAL! Yessssssss! In our house, we speak English, French, and Spanish, so finding that she’d made these lovely little gems in all three of our languages was really exciting. Kudos to Victoria for going the extra mile for her readers. Here’s one of them, but make sure to head over to her blog to download them properly in high-resolution! These would be really lovely as some seasonal art, or in a guest room. 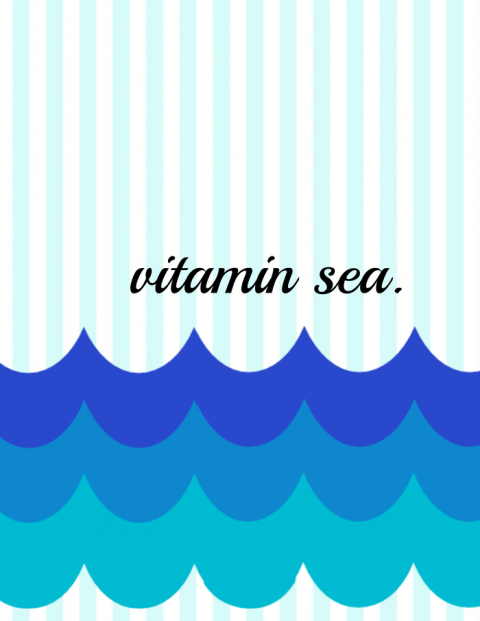 You could print a smaller version, laminate them, and use them as beach bag tags. Thanksgiving. I love that the holiday is solely about food and family togetherness. No gifts to wrap or eggs to hide! A beachy-nautical themed party complete with themed dress. Don’t forget that there’s lots more summer inspiration in the #SpectacularSummerBogHop!